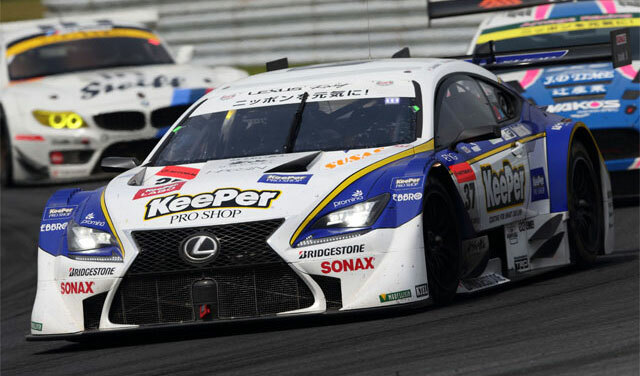 Super GT Round 3 at Autopolis in Kyushu was not a good race for Lexus teams — ranking highest was the KeePer TOM’s RC F team of Daisuke Ito & Andrea Caldarelli with a fourth place finish. The Petronas TOM’s team of James Rossiter & Ryo Hirakawa finished close behind in fifth. The Lexus KeePer TOM’S RC F remains second overall in the season rankings, with the ENEOS SUSTINA team in third despite its 9th place finish in Round 3. The next Super GT race will be on July 17th at Sportsland SUGO in Miyagi. Lexus Cohen: All I heard was jp, jp, jp! !! Ayo DocMkize: Thanks Krew for the link and for keeping tabs of the RCF around the Globe. Two RC Fs are set to compete.